In 2006 a handful of fender specialists, each with many years of experience in the industry, founded FenderTeam, a company which started business on 1 January 2007. 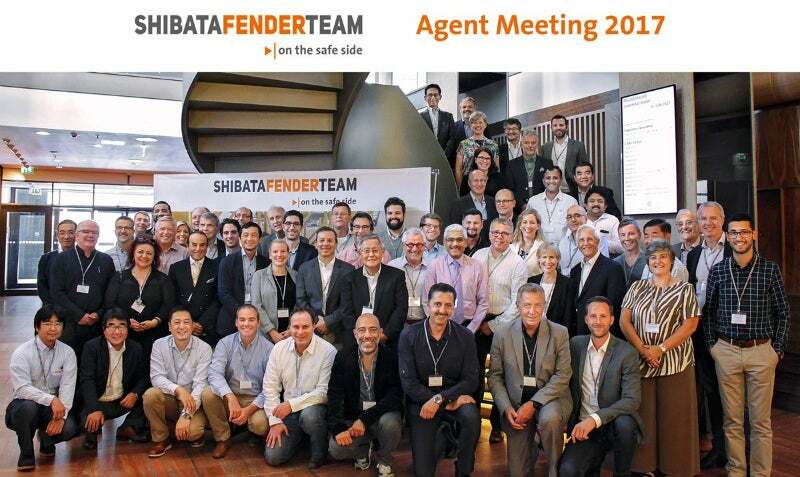 Ten years later, the company, now called ShibataFenderTeam, has developed from a total newcomer with a small office in Hamburg to a multi-national group with offices and production sites in America, Europe and Asia. Having successfully grown the business and completed over 4,500 projects worldwide, it was time to celebrate. On 15 June 2017 all sales agents from around the world, friends and partners as well as colleagues from all ShibataFenderTeam offices and from our mother company Shibata Industrial from Japan were invited to Berlin in Germany to celebrate the anniversary as well as to hold our regular agent meeting. The event started with a casual come together where old friendships were renewed and new ones began. The following day – the first day of our Agent Meeting – was dedicated to the presentation of our brand new product catalogue and latest marketing activities. It was rounded-up by technical presentations and information about latest market developments. Last but not least, Shibata Industrial presented their latest and very exciting investment plans which will take our group to a different level. Further details will be part of a separate news release. After this first day of work, the group gathered to celebrate the tenth anniversary. The event started with a sightseeing tour followed by a gala dinner and hours which were filled with inspiring talks, new contacts, dancing, and a lot of fun. On the second day, we visited our production site in Rechlin, Germany where the different production lines for steel fender constructions, foam fenders and HD-PE sliding fender extrusion where shown. The day ended with a relaxed barbecue and the return to Berlin. We would like to thank all participants for their coming and the great days we enjoyed together in Berlin.